Nicki Hooten and the Quitman Lady Bulldogs have experienced uncommon success in the last half decade. Since her seventh-grade year, Nicki and the Lady Bulldogs have lost only 16 games. As a multi-sport athlete at Quitman, Nicki has been an integral part of four state championships across cross country (2016, 2017), track (2016) and basketball (2017). In the last year, Nicki and the Lady Bulldogs finished runners-up in basketball, cross country and track. At 18-5 (10-0 2A 5 North), the Lady Bulldogs are primed again for another basketball championship run. 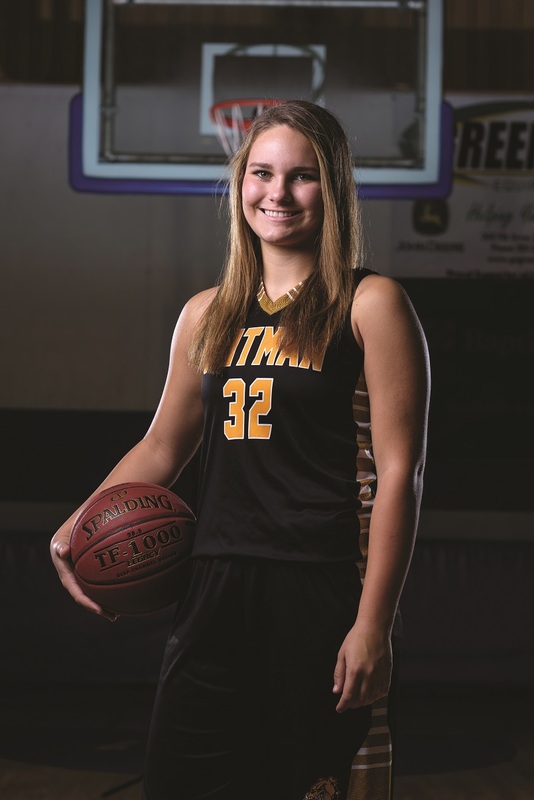 Nicki, a senior forward for the Quitman Lady Bulldogs, was selected to this year’s 501 Basketball Team — 34 players representing the best the 501 has to offer both on and off the court. The team is sponsored by Conway Ortho and Sports Medicine Center, Conway Regional Health System and First Security Bank. Nicki was nominated by her uncle and head coach, Tim Hooten. “Nicki was the leading scorer as a junior (13.5 points per game) and sophomore (11 points per game),” Tim Hooten wrote in his nomination. “She’s a four-year starter, three-year all conference, two-year all state tournament and all state honoree as a junior. She scores well in rough situations and is a really good shooter. She can find the open girl and rallies and encourages her teammates. As a senior, Nicki has increased her offensive production, averaging 17.2 points per game. She’s shooting 34 percent from 3-point range and has knocked down 53 3-pointers so far this season. After her close friend, Lily Holland, injured her knee before the season, Nicki was left as the lone senior on this year’s squad. “It has been a big change from last year — I have taken on a huge leadership role this season,” Nicki said. “I have grown and changed as a player in the last year by becoming more of a driving threat as well as a better 3-point shooter. I developed my jump shot a lot over the summer and added it to my game. I also have focused more on rebounding than in previous years because I am playing inside more. As much success as Nicki has had in athletics, she’s even more successful in the classroom. The senior scored a 35 on the ACT and is taking four Advanced Placement courses this year. Nicki also volunteers her time coaching pee wee basketball at Quitman. Nicki Hooten and the Lady Bulldogs play host to Nemo Vista at 5:30 p.m. Thursday.